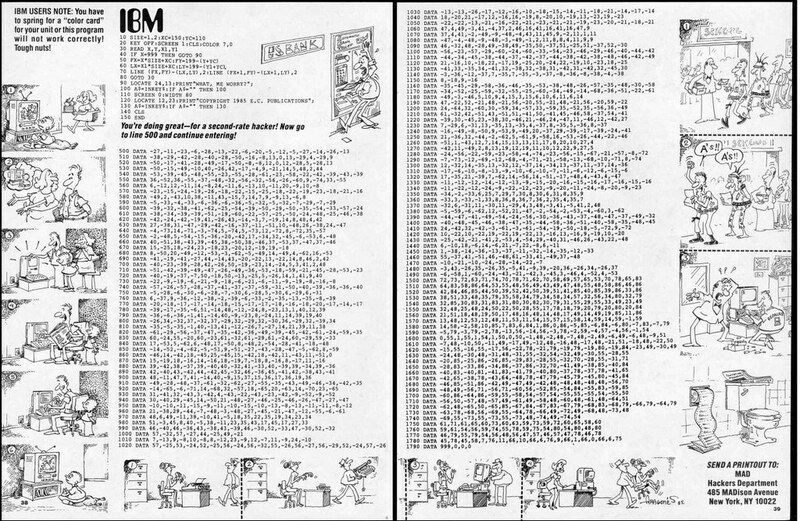 The guy at this website actually typed all of this code into AppleWin, a virtual Apple II emulator. 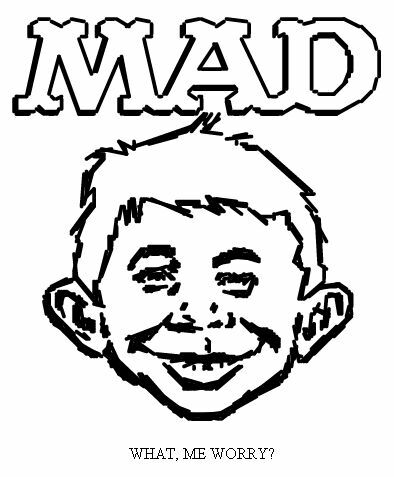 After all the code is compiled what you get is an image of Alfred E Neuman and his famous catchphrase. 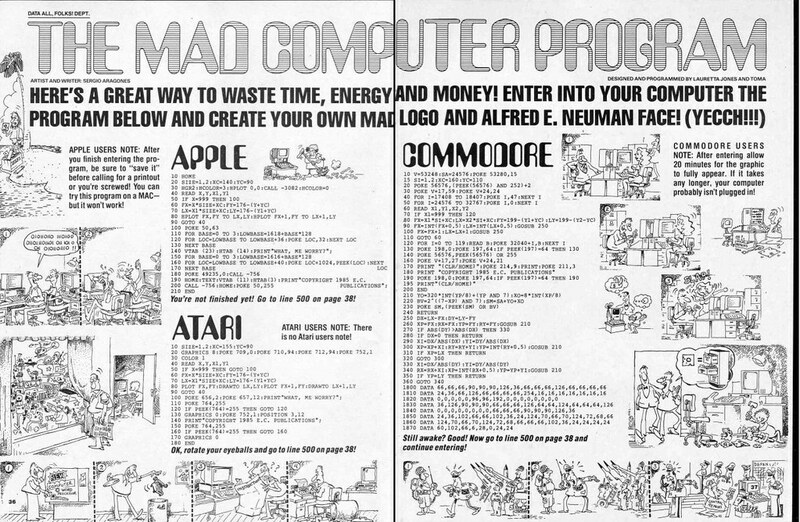 There were other computer-centric articles from the magazine. Here’s a great little piece with awesome artwork by the great Jack Davis. 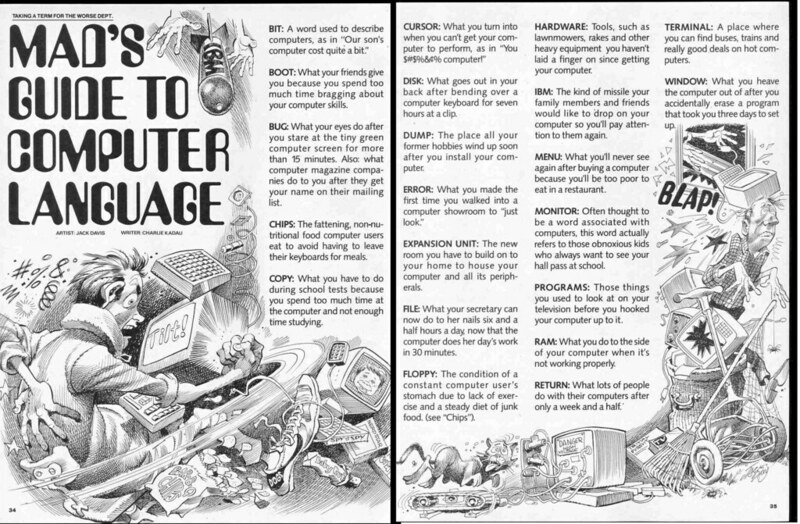 The Mad Guide to Computer Language. 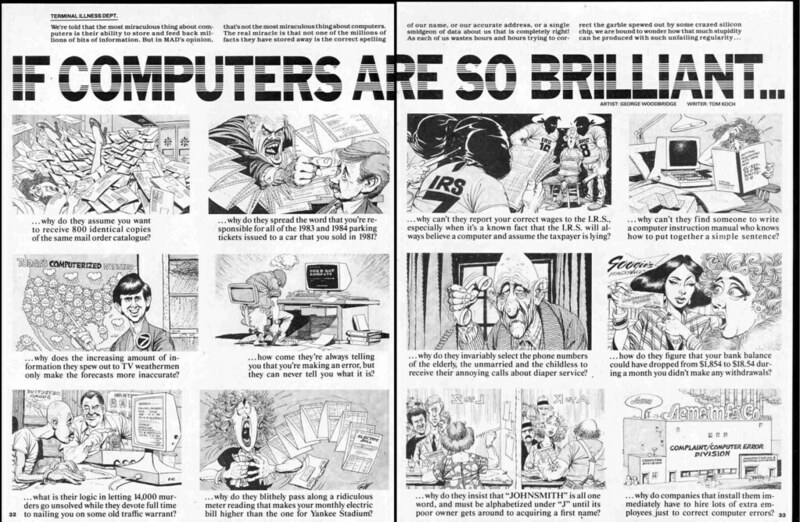 And here’s an article called If Computers Are So Brilliant… with artwork by another Mad veteran, George Woodbridge. You can click any of these images to see them BIGGER. That’s it for my look at computer activity books this week. Hope you enjoyed checking out these awesomely vintage looks back at computer technology. 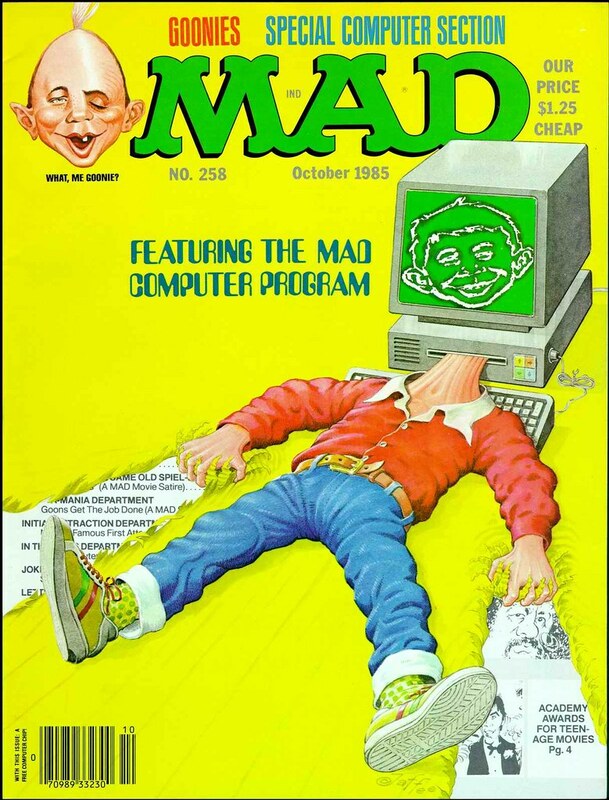 This entry was posted on August 19, 2011 at 2:19 pm and is filed under 80s, computers, Mad magazine, magazine, pop culture, technology with tags Book Report, computers, Mad Magazine, magazines, pop culture, reviews, technology. You can follow any responses to this entry through the RSS 2.0 feed. You can skip to the end and leave a response. Pinging is currently not allowed.